Last month, the European Commission president announced with some fanfare a plan to scrap the twice-yearly switch of Europe’s clocks from next year. Millions of people had called in a survey for the decades-old practice to end, saying getting up an hour earlier from March and then back again in October was a pain. EU officials said Juncker, who will step down as EU chief executive a year from now, also wanted to make a point about the EU, much derided by a rising strain of nationalism. He wanted to step back from imposing rules on member states — although the plan means going from demanding the time-change to banning it. 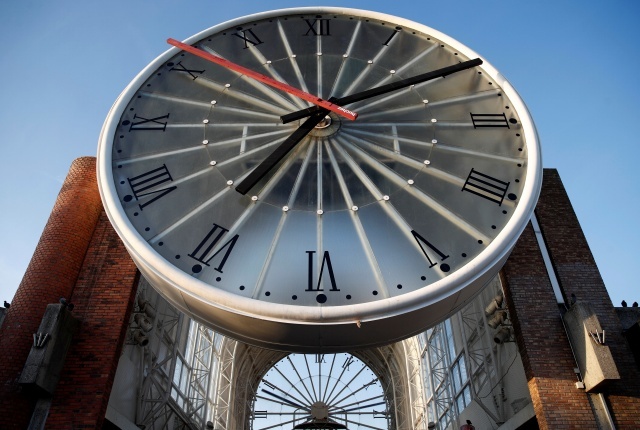 The Commission wants each EU government to decide by April which time zone they want to be in permanently — whether in October 2019 they want to stay in summer time forever or turn their clocks back one last time to permanent winter time. Member states have a first full chance to discuss the issue on Monday when their transport ministers meet in Graz, Austria. The 9 a.m. start may feel gentle for those who benefited from an extra hour’s sleep on Sunday morning as clocks go back. Diplomats and EU officials say it is most likely that, in the coming months, governments will hold up the process to have more time to work through the implications for transport, energy, road safety and so on — not to mention which time zone they want to choose permanently. That may throw the whole process into question, as a new Commission takes over. Some criticism of scrapping summer and winter time changes focuses on the Commission’s assertions that most Europeans back the move. While there have been calls in some countries, notably in Scandinavia and Germany, for an end to the switches, the Commission’s survey was queried by experts who warn online polls tend to be filled in by a small minority who care about the question. Some 4.6 million EU citizens — out of 510 million — took part in the Commission’s online survey over the summer. Of those, 84 percent of them were against putting clocks forward and back every year. However, the Commission acknowledges that it was not a systemic sounding of opinion across the bloc — fully seven in 10 respondents were in Germany, where the survey generated substantial media interest. Such polls “cannot provide any valid results”, said Walter Kraemer, a professor at Germany’s Dortmund Technical University and the author of “How to Lie with Statistics”.